Despite its reputation for being electric vehicle (EV) friendly, California lags behind other North American states and provinces in the density of non-Tesla EV fast-charging stations relative to population. California ranks fifth behind Oregon, Quebec, British Columbia, and Ontario, but ahead of Washington State. Oregon has 1.7 times more stations relative to its population than the muc h more populous Golden State. Most EVs, including Teslas, charge at home. However, DC fast-charging stations are needed by EVs for intercity and regional trips. Tesla operates its own extensive network of fast charging stations designed for intercity travel. Non-Tesla EVs use a patchwork of fast-charging stations that are often concentrated in large urban areas unless policy directed the stations elsewhere. British Columbia, Washington State, Oregon, and California are partners in the West Coast Electric Highway that would allow an EV to drive from Mexico to Canada along the Interstate 5 corridor. However, California never completed its portion of the network until recently. California instead focused on urban areas, leaving much of the state devoid of fast-charging stations needed for intercity trips. The absence of a robust non-Tesla DC fast-charging network for intercity travel may have inhibited the growth of EVs for more than just urban commuting in California. Tesla early on identified the need for a comprehensive network of fast-charging stations along major travel corridors as a prerequisite for EV adoption. See A Canadian Take on Tesla's Supercharger Network for an insightful analysis of this question. 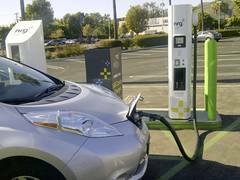 Parts of California are still not served by DC fast-charging stations. 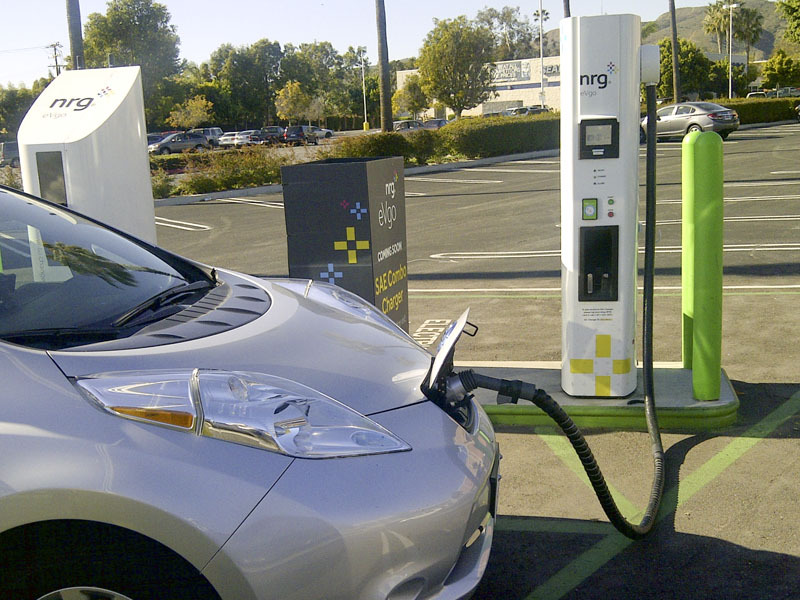 After a much later start than other regions, the California Energy Commission (CEC) now expects to complete its network of fast-charging stations along major highways by 2020. The CEC's program--two large awards currently underway--would still leave areas of the state underserved, such as the East Side of the Sierra Nevada. There's a dearth of public, non-Tesla chargers of any kind along US 395 from Mojave to Bridgeport on the East Side. There are neither DC fast-charging stations nor any public Level 2 stations. However, two separate programs could add stations to more remote areas. As part of its diesel-gate settlement, VW's Electrify America network is installing 160 stations across California and some of those are in more remote locations. Electrify America's vague maps don't provide much detail, but it appears they plan stations somewhere between Bakersfield and Mojave. They also have stations planned for somewhere between Inyokern and Olancha and a third station somewhere around Bishop. These three stations would serve the East Side of the Sierra Nevada. In addition, CalTrans, the state's department of transportation, had planned for the installation of 37 stations to be operational by November 2018. Three of these planned stations are east of the Sierra Nevada: Coso Junction, Independence, and Bishop, California. Unfortunately, CalTrans will miss its deadline. CalTrans' stations are on hold, according to the Electric Auto Association's Raejean Fellows, pending the outcome of Proposition 6 in the November mid-term election. If passed, Proposition 6 repeals an increase in the road tax that CalTrans planned to use in part for the DC fast-charging stations. California does have the highest density of ports for non-Tesla EVs relative to population among the regions examined. But, the number of ports, called outlets by the Alternative Fuels Data Center, doesn't tell you how many vehicles can charge. Each port serves one vehicle, but not all ports are active at one time. 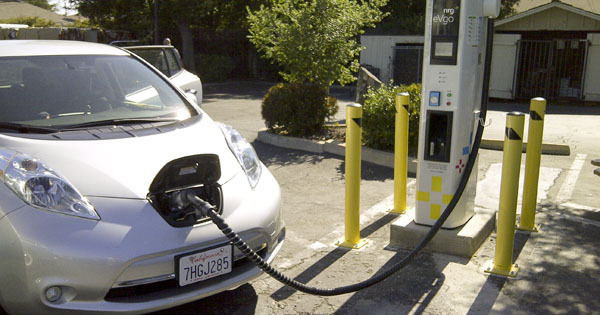 Most new DCFC stations in California have at least two charging kiosks. Each kiosk, or dispenser in Electrify America's vernacular, has two ports. In the typical installation, only one port is active at a time. For example, EVgo operates one station at a Walmart in Bakersfield. This one station has two kiosks. Each kiosk has two ports. Thus, the station has four ports--but only two can be active at one time. 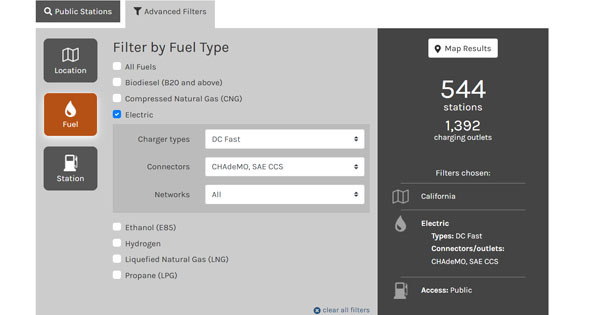 As a result, the number of ports listed by the Alternative Fuels Data Center does not reflect how many vehicles can actually charge. Stations in Tesla's supercharger network have dozens of ports. The Kettleman City and the Baker, California stations have 40 kiosks each, all with a single port. All ports are active all the time, although the level of charging may be reduced by the number of vehicles charging at one time. Tesla operates 82 supercharger stations strategically placed along major as well as minor corridors in California. Notably, there are 1,088 Tesla DC fast-charging ports in the state and all are designed to be operational all the time. Tesla operates eight ports in remote Mammoth Lakes, another four ports in Lone Pine, and four ports in Inyokern, all on the East Side of the Sierra Nevada. VW's Electrify America is installing multiple kiosks per station. Each kiosk has two ports, but like kiosks from other companies only one port is active on a kiosk at a time. At its station in Colby, Kansas, Electrify America has installed four kiosks for EVs using the American-German CCS standard, and one kiosk for the Japanese CHAdeMO standard. It's not clear if this mix of kiosks is in full compliance with VW's settlement agreement to be brand neutral. VW builds EVs using the CCS standard. To summarize, California lags behind its peers in number of non-Tesla DC fast-charging stations relative to its population. The state has more ports than any other state relative to population, but not all of these ports can be used simultaneously to charge an EV. Currently, gaps remain along several major corridors. However, both the state and VW's Electrify America is installing hundreds of new stations that will be completed within the next 18 months.